Today, premenstrual syndrome (PMS) is still a poorly understood collection of up to 150 cyclical symptoms, that can cause on occasions a range of bearable to severe psychological and physical distress. The psychological symptoms can include depression, loss of energy, irritability, loss of libido and abnormal behavior, with the physical symptoms ranging from headaches, breast discomfort and abdominal bloating that may occur for up to 14 days each month. There can also be painful menstrual issues that can mean that in worse case scenario the woman may only feel well for one week at a time, each cycle. However, these figures are not clear with estimations stating that up to 80% of women suffering with some issues and only 5% suffering severe life disrupting symptoms. What is clear here is that PMT symptoms only occur when there is ovarian function. Therefore any woman who is pregnant or has gone through the menopause or had her ovaries removed does not suffer with any symptoms. So it is quite clearly a disharmony of the hormones and the second half of the cycle i.e. an imbalance of estrogen and progesterone levels that can be also exacerbated today by poor nutrition, stress and poor sleeping patterns. From a TCM point of view a balanced woman should not suffer any abnormal issues coming up to her period. Her periods will be regular (24-35 day cycles) and she should feel comfortable. When the body is in balance, a woman will have periods on a regular basis, they also don’t complain about issues such as pain, water retention, emotional upheaval or PMS-related fatigue. So, many of the symptoms associated with PMS (breast tenderness, irritability, cramps, headaches), from a Chinese medical perspective, are simply symptoms of blocked energy. 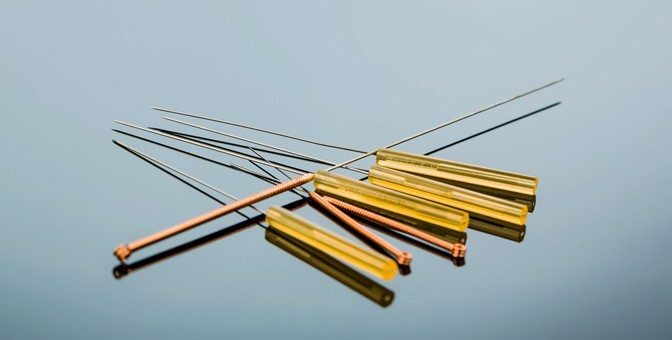 Acupuncture helps to open those blockages thus allowing the energy to flow without restriction, which brings the body back to balance, eliminating PMS altogether by working on the liver qi in particular, blood and the spleen, all energetics that are central to a healthy reproductive system. What is always interesting is the woman who comes for help for say skin issues or back issues for example and they mention along their treatments that this was the first month that they didn’t react/feel teary/ down coming up to their period. This is because TCM looks at the overall woman and treats the root which can be causing layer after layer of very different symptoms that just do not add upto anything in WM terms. Acupuncture and Chinese herbs are wonderful for helping and should be something to consider if looking for natural solutions, however we would also recommend various lifestyle suggestions from adequate rest, nutrition and exercise too.